The University of Southampton’s Winchester School of Art (WSA) and Dalian Polytechnic University (DPU) in China are launching the country’s first collaborative art and design programme. Chinese students will study for a University of Southampton degree in either Graphic Design or Fashion Design, based in the city of Dalian in the north east of China. 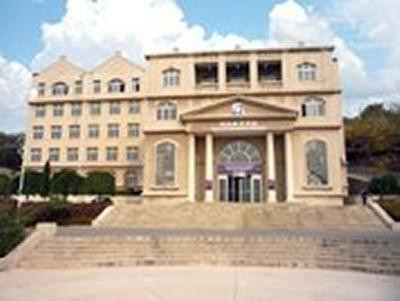 “Dalian is home to a large number of hi-tech enterprises and a growing number of creative industries, making it an ideal place for students to learn and develop their skills – both on campus and in ‘real world’ environments,” comments Rector of Winchester Campus and Head of Winchester School of Art, Professor Bashir Makhoul. The new degree programme is the culmination of a long-term partnership between WSA and DPU which has seen a steady increase in students from China attending WSA. Students at Winchester also have the opportunity to undertake study-tours to China as a part of their degree. his year, 196 undergraduates are undertaking studies at DPU, one of the most prestigious institutions for Art and Design in China, in an extensively refurbished building. Students will be provided with the same level of high quality teaching, excellent facilities and the opportunity to work with industry experts as their counterparts in Winchester. The Vice-Chancellor of the University of Southampton, Professor Don Nutbeam, will tour the Dalian site, meet students and attend the official opening on Friday 21 October 2011. The programme delivered at Dalian has been reviewed and approved by the Academic Senate of the University of Southampton and will be subjected to the same rigorous quality assurance as all the other courses taught by the University. It will last four years and be taught in both English and Mandarin, with key specialist modules delivered in English by UK tutors from the School of Art. Students will also learn specialist English for Art and Design.